"I think a hat club is a very sensible idea indeed"
The second Music category winner was Max Moran, who runs a video-based music blog. 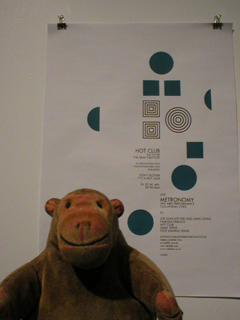 He also runs the Hit Club, a record label, the Hot Club, a music club night, and the Hat Club, a more relaxed music club. 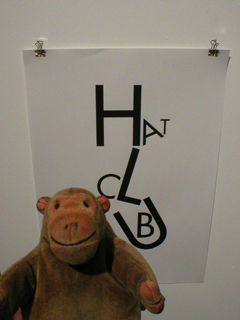 Mr Monkey admired the posters, but was a little disappointed about the lack of visible headwear in the promotion of the Hat Club. You can read Max Moran's views on music at the This Town Sounds website.